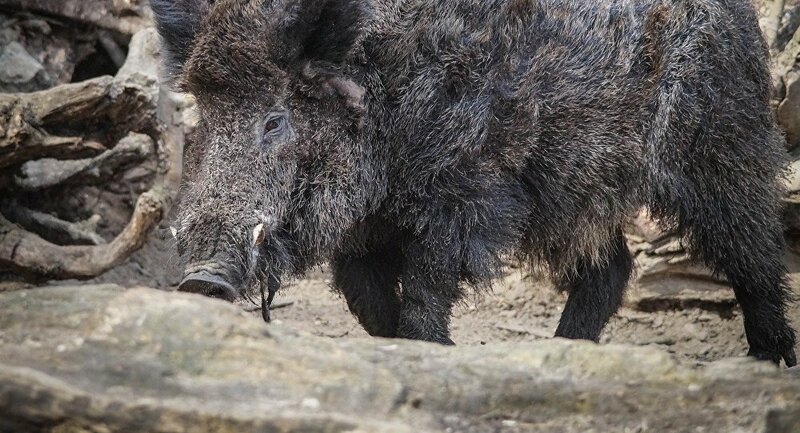 A wild boar crashed a Sunday mass in a church in the Polish city of Ruda Slaska as the animal smashed through a glass door at the entrance and charged through the building. The incident occurred several minutes after the beginning of the mass and caused panic among those in attendance. "Fortunately, they managed to quickly scare the boar away, and no one got injured," a police official said, adding that the animal smashed two vases and broke an effigy of Jesus Christ during its rampage. According to a local media outlet, the animal was likely searching for food, and the authorities promise to deal with this issue as sightings of wild boars entering the city limits while foraging are becoming more and more common. A month earlier another Polish boar also made headlines in local media after the creature went on a foraging expedition across local farms. The animal, a tamed boar named Chrumek, escaped from his owner Pawel Kowalski, a forest scientist and resident of the town of Kolo. A week later the boar was found lying in a drunken stupor by a local farmer after it drank a barrel of alcoholic ferment that was going to be used to make wine. The farmer quickly got in touch with Kowalski and the latter arrived and collected his adventurous pet.